Phyllis Milne, from Quarryhill in Moray, was last seen by her family at 10pm on Friday. 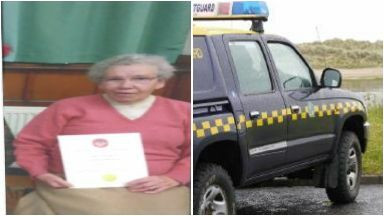 The Coastguard have joined the search for an 86-year-old woman who has gone missing overnight. Phyllis Milne from Quarryhill in Keith, Moray, was last seen by her family at around 10pm on Friday, January 25. Police Scotland, who are leading the search, said they were "concerned for her welfare" and being assisted by the Coastguard and other Emergency Services. A spokesperson for the police said: "There are concerns for the well-being of Mrs Milne. "If anyone has information on her current whereabouts, please call 101."